By definition, a warranty is a written statement or pledge that guarantees the acceptable condition of a product and further states that the manufacturer or supplier is responsible for repairing or replacing that item for a specified period of time after its purchase date. Such a promise is often an essential part of a major financial investment/purchase by a homeowner or commercial property owner; a roof replacement warranty or a roof repair warranty would be prime examples here. Any of these circumstances can lead to prolonged and highly frustrating communications and negotiations to try and resolve the situation, and perhaps out-of-pocket expenses as well for the property owner, should they need to repair or replace the item in question as an interim measure. Therefore, it is extremely important to thoroughly review and understand all facets of a warranty, and to ask for a detailed explanation from the roofing contractor if any content or warranty exclusions are confusing or unclear; a good deal of frustration, and potential costs, can be saved by knowing what is written in the fine print, as the expression goes. What is the length of the roofing materials warranty? Are there any exclusions or limitations within the warranty? Does the warranty vary by component (gutters, vents, membranes)? Are there any circumstances or conditions that would nullify coverage? What is the length of the roofing contractor’s warranty? What are the terms, conditions, and limitations of the warranty? How are claims processed – by the contractor or by a third-party agent? Who is responsible for subsequent roof repair costs, i.e. : materials, labour? Are they willing to help with submitting any warranty claims to a manufacturer? 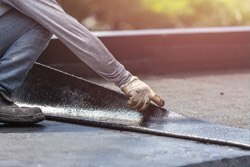 If a roofing contractor is hesitant or unwilling to discuss the terms and conditions of their warranty coverage, it should be a strong indicator that they are likely not the right roofer for the job. On the other hand, an experienced and reputable roofing contractor such as Can-Sky Roofing will not only answer any questions about their warranty package in an open and honest style, but will also take the initiative to review this information with the client prior to signing the work agreement. 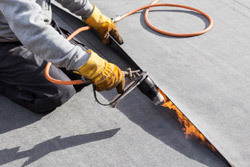 To learn more about Can-Sky Roofing, and their roof repair and replacement services, manufacturer warranties, and warranties relative to their commercial/industrial roofing services, see our flat roof repair and sheet metal work page. 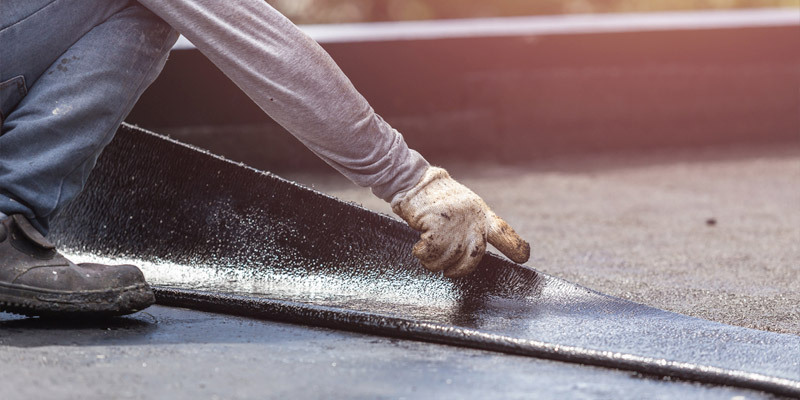 For all your commercial flat roof needs, including new installations, repair, replacement, and retrofitting, call the experienced flat roofing specialists from Can-Sky Roofing today at 647-691-0487 or contact us to request a no-obligation quote.